There are a few hotels that I’ve visited that have made me want to throw out everything in my current apartment and start over with everything in the hotel instead. The hotel has to feel so much like a place I want live my life that I cannot get the decor and vibe out of my head. The first time this happened was at the fabulous Jeeva Klui Resort in Lombok, Indonesia – one of the few nice hotels we stayed in on The Trip. 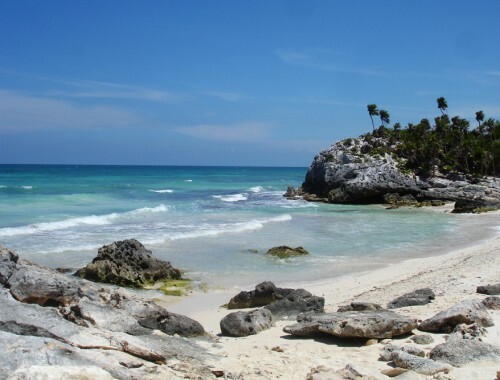 The second time this happened was at the Maroma Hotel on the Mayan Riviera. This hotel has long been in the back of my head as a place of luxury and awesome that I would never get to step foot inside. They would probably sense the hippie in me and turn me around at the door. 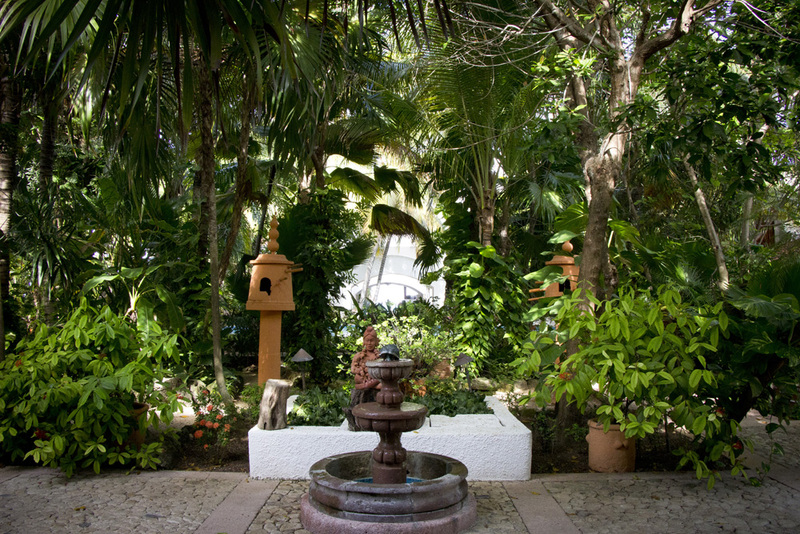 Once I arrived on the grounds though, magically I glided through the airy entryway (hippie-ness and all) and into one of the most soothing environments of relaxation, calm, nature, and mystique I’d ever experienced. The reason I finally was visiting the hotel was for the spa. 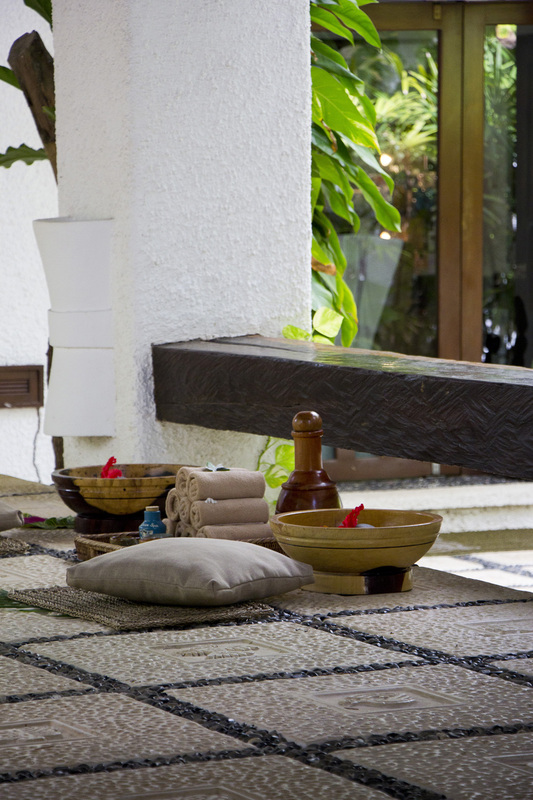 I have been on a mission to learn about local spa traditions when I travel and I also want to get better at treating myself to more spa-like things in general. Seriously – it’s been a year since I got a haircut. Sometimes a girl needs to have some ‘me’ time. 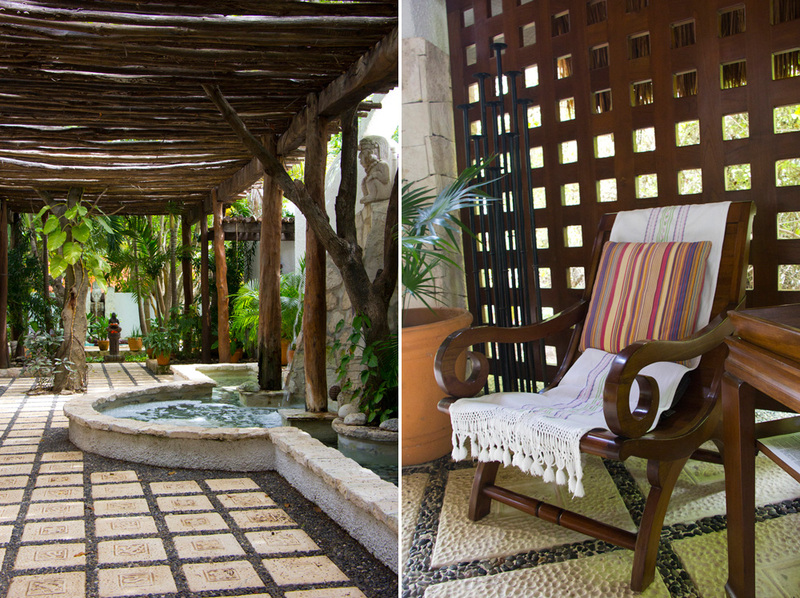 My personal travels found me in Mexico this past summer, and I knew it was the right time to experience the Kinan Spa. 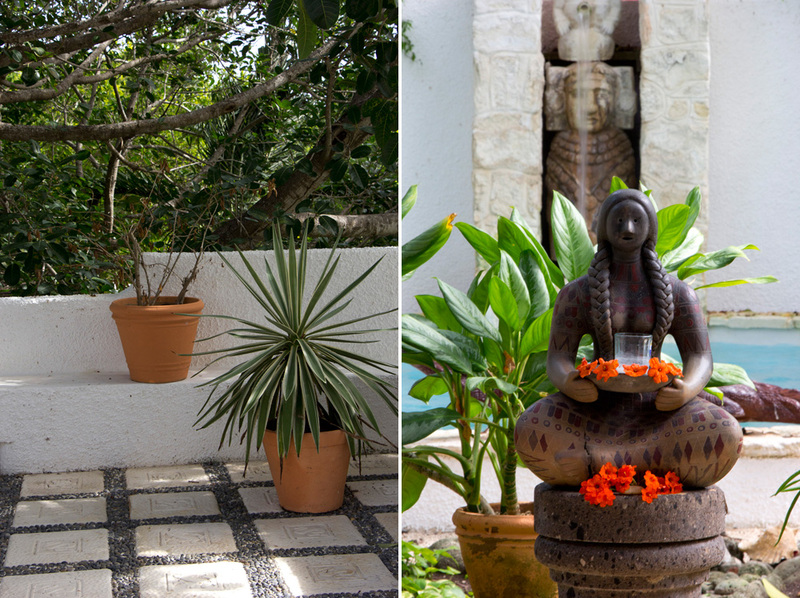 It is careful to keep Mayan traditions in tact while infusing luxury and modern spa techniques into the experience. A perfect place for someone like me. My first impression of the spa was again, that I wanted to move in. The decor was natural and bold with muted colors and calming tones. The high ceiling and open courtyard areas allowed for a cool breeze to come through and you could hear the trickle of running water everywhere within the spa. 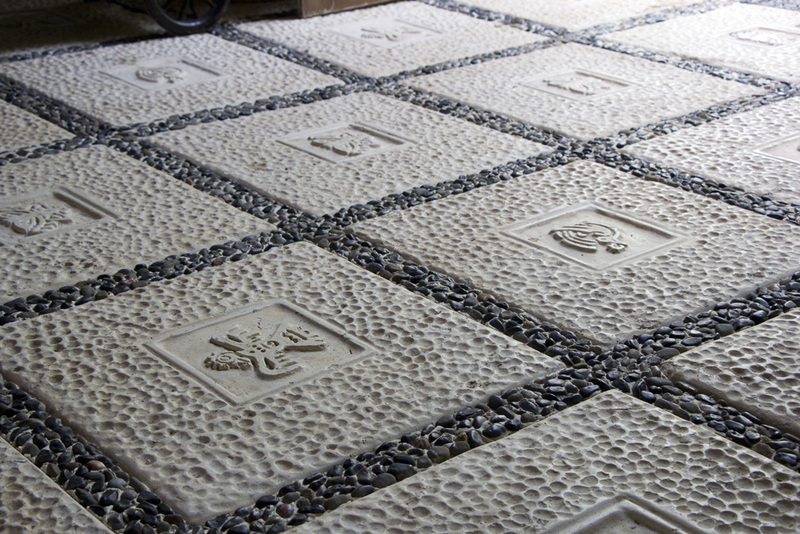 The details of local culture were endless – even the handmade floor tiles paid homage to Mayan spirituality with carvings of Mayan gods and goddesses. I enjoyed a welcome foot bath, another pre-massage foot bath, and then a 60 minute massage using scented oils made locally. They also offer reiki and traditional temescal treatments (a cleansing of the body and mind in a Mayan sweat house) which both interested me, but I decided I could use the calming massage after lugging my backpack around Nicaragua the week prior. The foot baths were clearly a *thing* here. And as someone who rarely gets a pedicure, it was a nice touch. After a blissful stay at the spa, we went on a tour of the grounds. I wanted to explore what amazing secrets the hotel had to offer those staying here. 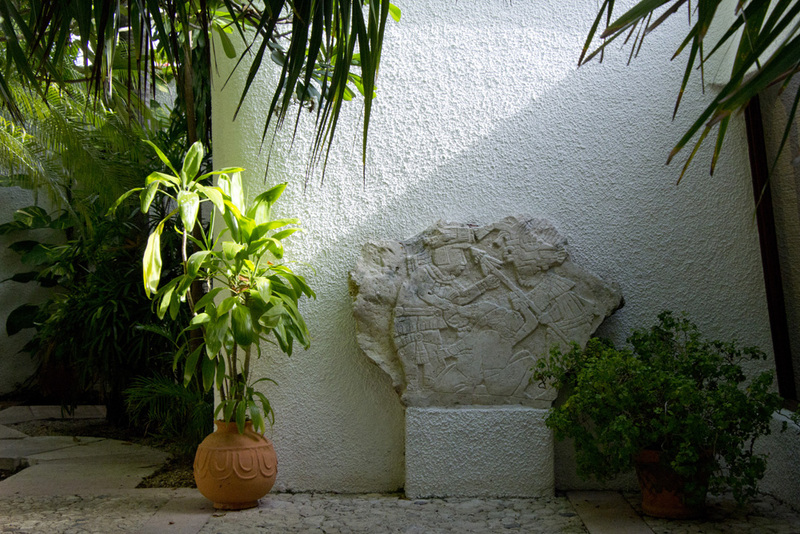 Also, I wanted to see the design aestetic as I was beginning to get the feeling that the Maroma was going to be one of my favorite hotels this side of the Prime Meridian. Our tour took us through forest-like pathways that wiggled effortlessly through the quiet grounds. 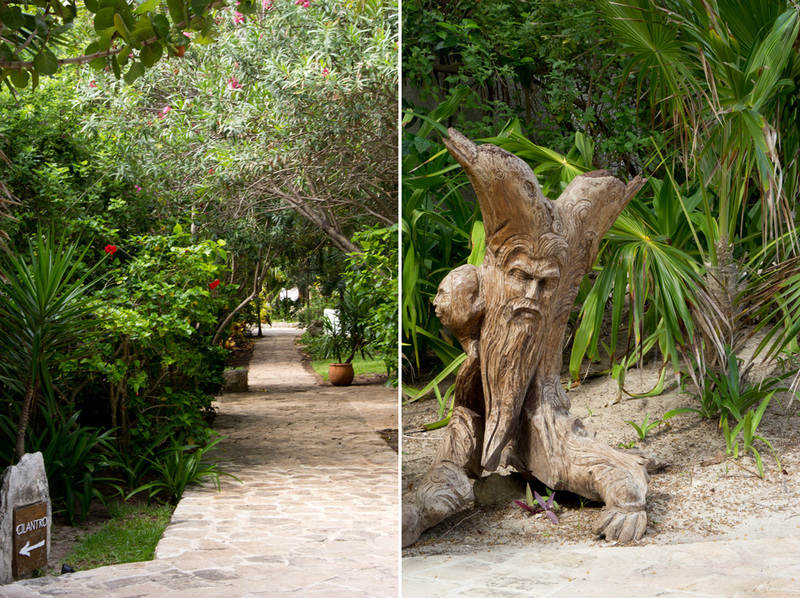 Occasionally an iguana would pop out – occasionally we’d pass an intricate carving. Our quick view into the suites confirmed that yes, I’d again found my match stylistically. 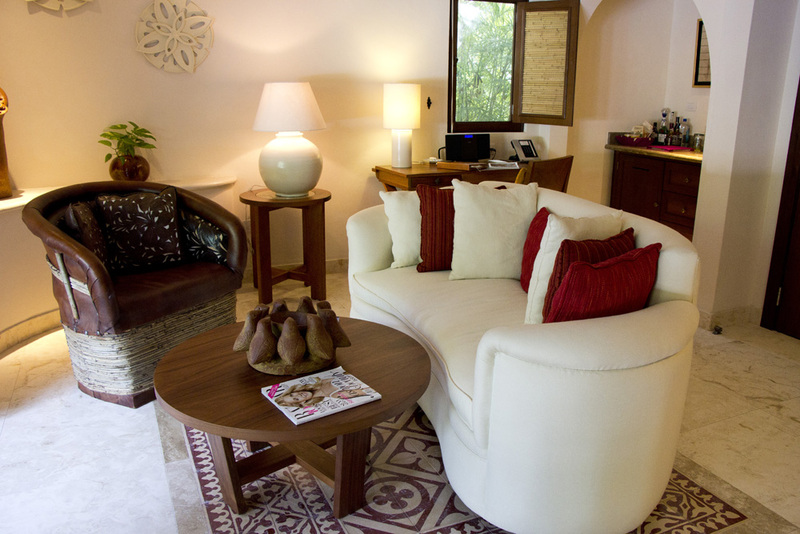 The clean yet natural design was calming and the plush beds were beyond inviting. Can I move in, please? 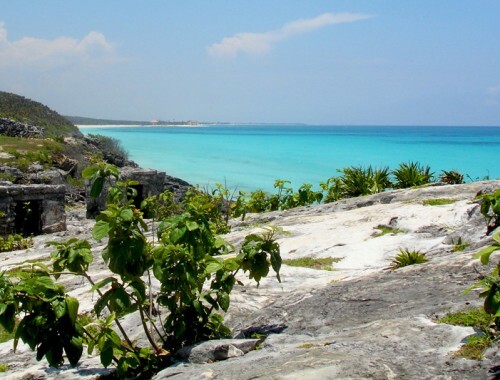 But the Pièce de résistance was the view out to the sea – of stunning white and aqua and turquoise and blue….dotted with palapas. 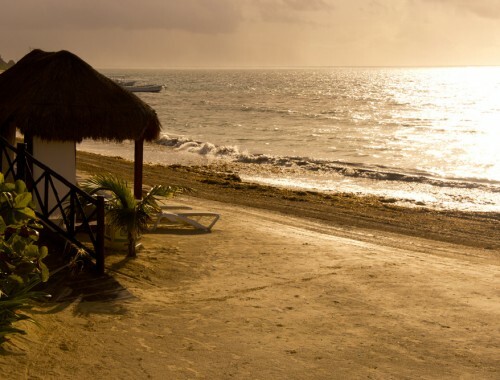 Next time I return to the Mayan Riviera, I’ll be returning to the Kinan Spa – maybe for something a little more spiritual. And if I’m lucky, I’ll get to sink into one of those beautiful bedrooms on a luxury splurge. 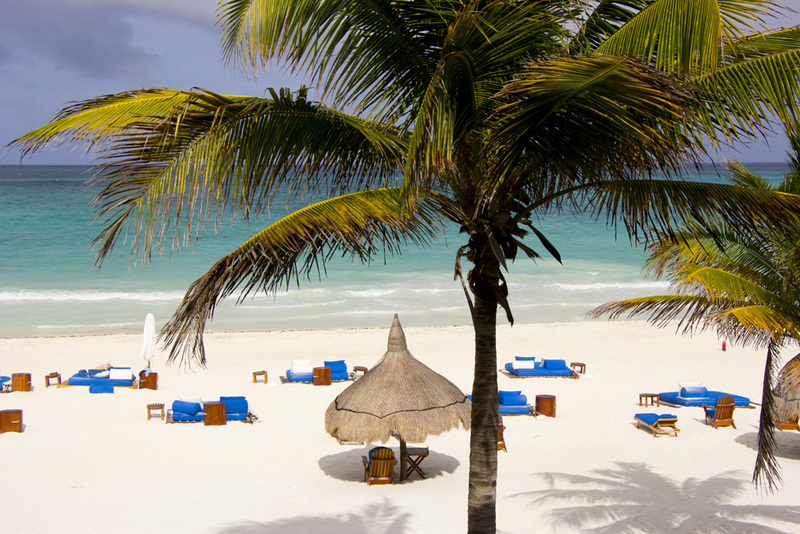 For more info about the Kinan Spa and the Maroma Hotel, click here. 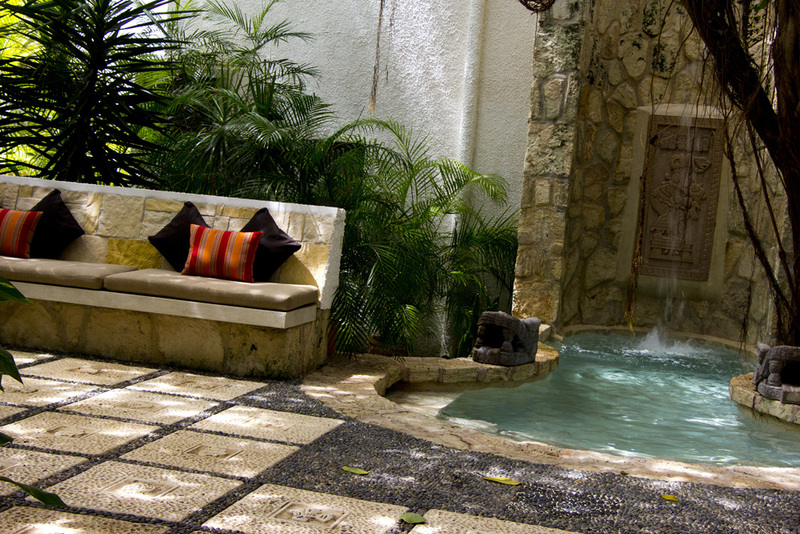 Thank you to the Kinan Spa for hosting me at the Maroma Hotel for the afternoon. 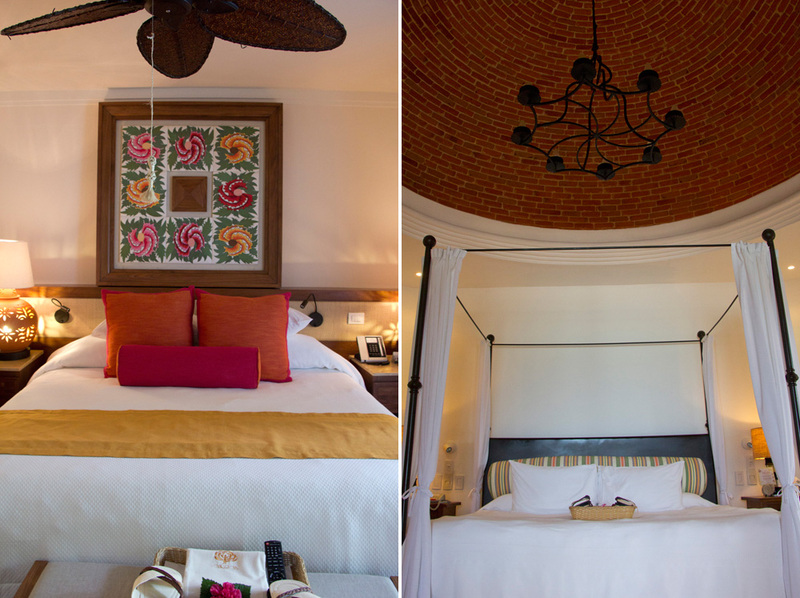 I LOVED the Jeeva and really hope to return one day… And if you did feel the same way as I did about the Jeeva, you will also love the Maroma!